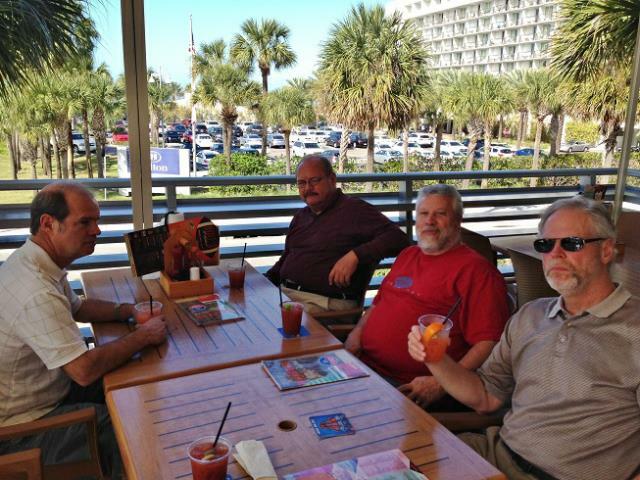 In 2014 The Geezers migrated down to Clearwater Beach, Florida for 5 days to visit fellow Geezers, and Florida Snowbirds Fergie, and Spike, and current Floridian, and former Akron Geezer, Jimbo Fish. We were doing this on a regular basis for about five years. We usually visit around the Super Bowl and get together to watch the game as we did this year. 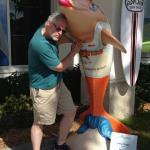 But one of our stops during the time in Florida is to a Hooters. 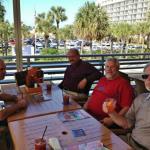 We spent 4 days in Clearwater Beach, at the new one down Gulview Blvd. Below are the pictures that we took there. 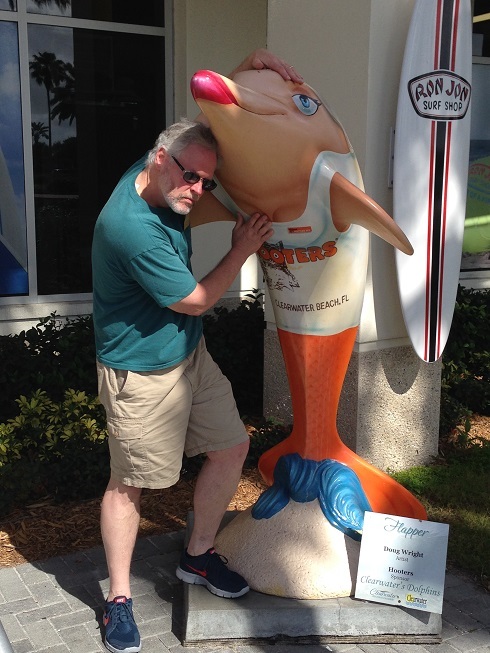 I promised our waitress, Emily, at the Clearwater Beach location that we would have the pictures on our website by the weekend of our return on February 7th.